Only Until the End of Sunday 3rd March! These gorgeous patterns incorporates all things summery, with this easy to make fusible applique technique. You get all of the templates to make the beach huts, sea, clouds, letter and templates with ready reversed diagrams to help you too. 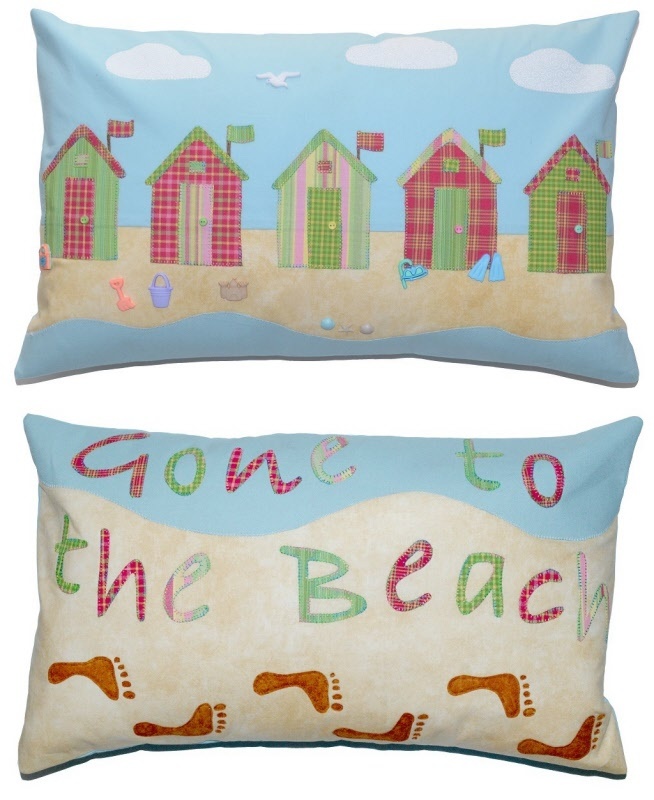 You can then have great fun embellishing the cushion with buttons, shells or whatever you fancy. The cushions each measure 20 x 12 inches.